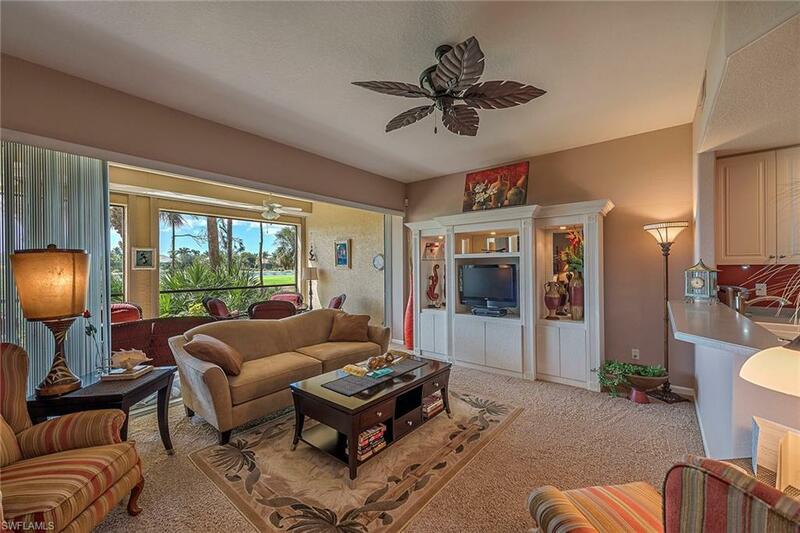 Expansive southwest lake and golf course views can be seen from the spacious screened lanai and ground floor master bedroom in this beautifully maintained three-bedroom, two-bath home located in the private community of Deer Crossing in Fiddler's Creek. This turnkey home provides the perfect winter retreat or full-time location and has excellent seasonal rental potential. Upgrades include plantation shutters, storm protection, air conditioning and appliances. 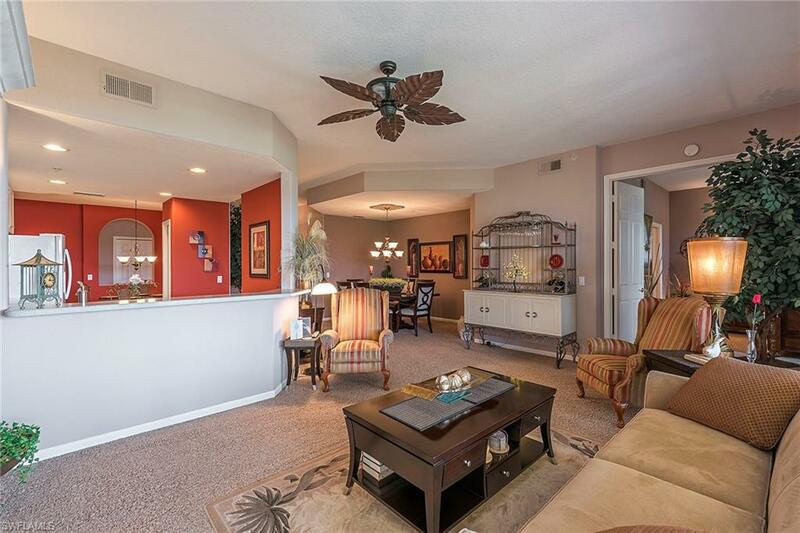 This home is equipped with electric shutters, security system, laundry room with tub and an extra-long garage. 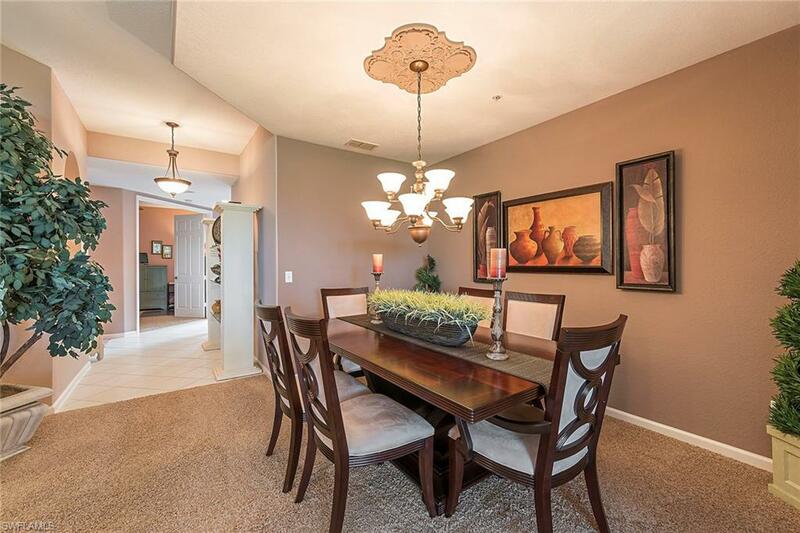 The eat-in kitchen is appointed with white cabinetry, a convection oven, breakfast bar seating and a breakfast room. 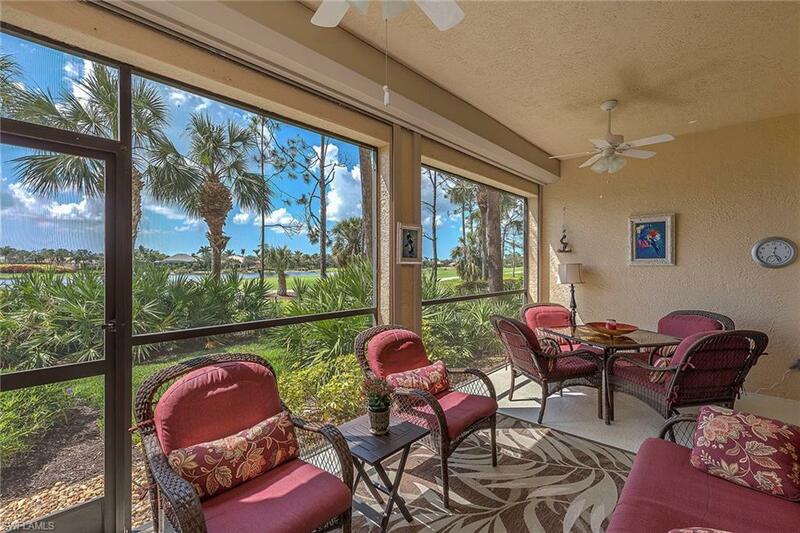 The screened lanai features pocket sliders and overlooks gorgeous views of the lake and the rolling hills on the golf course. Relax in the spacious master bedroom with beautiful views from the large windows, dual walk-in closets, and an en-suite with dual sinks, walk-in shower, water closet, and storage area. A community pool is located nearby and Fiddlers Creek offers abundant amenities to keep the whole family entertained. Optional golf, marina and beach memberships available.